Like humans, neck, hip and back pain can be extremely debilitating for horses, but this does not have to deter them from reaching their full potential. 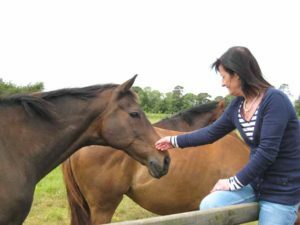 “Dramatic improvement can be achieved in the health of Equine athletes when treated with alternative methods,” says Catherine Cooper of Knocklong, Co. Limerick based Copperfield Equine Therapy and Rehabilitation Centre. Procedures such as these can keep your horse performing to its full potential. All are procedures carried out at the Centre regularly by specialists who are fully qualified to carry out these treatments.